More and more organizations are going virtual and in the next 10 years, Gen-Y will make up more than 48% of the workforce. This group is tech savvy, information hungry and they know what they want. Before we started planning the new Latitude E-series, announced today, we hosted focus groups including Gen-Y customers, IT managers and other business segment customers (over 2,000 in total) over 18 months to get feedback about what they wanted in a business laptop. We heard a number of helpful things including the need for enhanced durability with more end user, consumer appeal. And that as the lines between work and family are becoming blurred, our customers need to utilize technology to balance home and work life together. I've outlined some of the key themes in the customer feedback below along with how we incorporate it into the new E-series models. Durability is something that the industry demands in corporate notebooks, and most of our large business customers want to make a hardware purchase that will last them at least 3-5 years. To ensure our products meet these expectations, we have to use materials that are built to withstand the rigors of everyday use, especially as customers move from office to office, to home and even travel around the world. There were more than 100 durability-focused design improvements across our E-family products, including a solid metal frame that increases stiffness and strength, a screen seal that helps cushion the panel, and tighter keycaps. While all of our premier-class products undergo rigorous Mil-spec testing, the new E6420 ATG Premier business-rugged laptops are designed for the most demanding conditions, with hard-wearing MIL-STD tested Tri-Metal casing and highly durable displays. The materials used in the new 6-series laptops include a magnesium alloy base, panels and sides and solid metal-plating around the hinges which is necessary when you’re always on the go, opening and closing you laptop all the time. If you accidentally bang a corner, your laptop will be protected. The latches are zinc-alloy, one handed and have an improved mechanical fastening system. Design-wise we focused on enhancing the look and feel of the E-series to not only reflect the durability improvements, but to retain the stylish appeal customers have come to expect. The new E-series products are available in a number of sizes, from the lightweight 12” E6220 to the mainstream 13” E6320 and 14” E5420/E6420, up to the 15” E5520/E6520. For those who like touchscreens, we'll have the XT3, our new convertible tablet, as well as touchscreen panel options on the E6420 and E6520. Other slick features that we carried over from previous Latitude models include things like backlit keyboards to help when working on a plane or in a dimly lit conference room, high-definition cameras for video conferencing, and a variety of battery options including a snap-on battery slice for extra-long run-time. The new E-series provide multiple, easy to connect wireless options with improved antennae support and mobile broadband support through a variety of carriers. Customers can enjoy go-anywhere productivity with ExpressCharge battery options and swappable media module options – including optical drives, hard drive and USB 3.0 media modules that help you maximize productivity when on-the-go. “Make it as easy to troubleshoot and service as possible." We know with these new models that IT departments will be able to install and manage these systems with ease. ImageDirect enables you to focus on management of a single image that works across multiple platforms and departments. And once your image is in ImageDirect, it is available to work with future Dell hardware platforms, greatly reducing the time and cost for product transitions. Finally, the new models include greatly enhanced security with Dell Data Protection, contactless and standard smart card readers, an optional fingerprint reader and encrypted hard drive options. The Dell Latitude E5 and E6 series will be available this Spring. Feel free to add any comments or questions below. @jervis961: Sorry for the delay. In an all-day meeting. For now, take a look at the Latitude E3 images on Engadget. This looks uglier than the previous gen. The silver and black just don't match. Dell should have stuck with a black metal look or go for complete silver metal look. Not this weird combination that makes it look cheap. I'm not sure if I like the new look of the Latitudes just yet. Any plans on posting some more pictures? Any more details on the XT3 available yet? @hannsg: Sorry to hear you had a bad experience in terms of support. These days, we offer lots of different ways for support. Via phone, e-mail and chat like you'd expect, but also now through a number of ways in social media, like @DellCares on Twitter, The Support tab on our Consumer and Business Facebook page, and places like this blog, Direct2Dell. Hi – some additional photos on Dell.com here: content.dell.com/…/image-gallery-latitude.aspx (scroll to the bottom). I gave up on Dell four or five years ago as the quality nosedived to the point where they were unusable. I was wondering, does their tech support still make you want to rip your hair out? I get chest pains thinking about it. Sorry, but those look like glitzy consumer laptops at Best Buy, not serious business systems. All the extraneous "design features" are just tacky. If I want a teenager's pimped out laptop I know where to get one. No, I'm not Gen-Y but I authorize the purchase of a steady stream of systems — maybe Dell should widen their research pool a bit!
. Hate the numeric keypad on the 15" models: Who wants to try to type with their hands and head offset, esp on a plane! Dumb, dumb, dumb! Make a special accountants computer with that. In summary, some of us do actual work on our computers and don't just (or ever) watch movies and play games on them. We need fast systems with lots of screen pixels that are comfortable to type on all day and don't distract you with shiny lights, metals, and colors. I vote these a FAIL and now I'll be looking at other suppliers for our Sandy Bridge refreshes. Well done! I think that's harsh. I'm a technical businessperson and the 13" or 14" are perfect for me (assuming I can get a quadcore i7). I need backlit keyboard (plane and meeting lighting) and 4g (traveling) and hdmi out (external monitors) so they're not at all glitz but useful features. More rigid is great and so is a small battery option for shorter flights. The only thing I see missing is ssd, hopefully that's an option. As long as the E6420 has a high-quality 1600×900 (HD+) display option available, I have no problem with the transition to a 16:9 form factor. I'm very pleased to see a larger touchpad! That is the only complaint I have with my E6400- the touch pad is so small that it's useless and I use an external mouse or the pointing stick instead! Relocating the volume control buttons to the right side of the keyboard is another nice change! =) Currently, the three tiny buttons are located at the top edge of the keyboard above the F10-F12 keys. They aren't backlit and can be difficult to see and even tougher to manipulate…..most of us have to do it by feel alone, which is very annoying….glad to see the upgrades!!! @PininFiords there is an optional USB 3.0 module that fits in the optical bay. And thank you for the additional feedback. I will pass along to the product team. And @MRkz yes there will be SSD options (currently 128GB & 256GB). We have used many Latitudes over the years and always have been happy with the quality and support. I do agree the switch to 16:9 is odd since these are business laptops , it really feels more cramps when you are working on documents or spreadsheets on the 1900×1080 models ( I love my D820 1900×1200 :-).. It is a bit better on the 1600×900. In addition, since USB3 is backwards compatible why not have it and save the module for something else. We use USB to back our systems when they are not on the network so USB3 would cut down the time significantly. I also hope that we can change the color of the ring around the keyboard – Why orange? Are these for gaming or business? On my wish list, I would request the ability to have dual 1.8" SSD Hard Drives or 1 SSD for the operations system and 1 72000 RPM for data and archiving on the 6520 and the 6420 🙂 Please make that happen! When in March or April will the Latitude E6520, E6420, E5520 laptops be available for order on line and shipping will start? What is the holdup on the E6220. That's the model that we are getting the most inquiries about. Any ETA at this time? And I agree with the previous posters about the screen formats/resolution. Vertical pixels are more important than horizontal ones in a business laptop. 1366×768 is barely usable in office, especially outlook and excel. As far as I know, Sony is the ONLY vendor currently offering a higher res laptop in a smaller 13" display. I know it would probably be a pricey option, but I'd kill for dell to offer a 12" or a 13" higher resolution display than the industry standard cheap 1366 ones. I'm still waiting for word on the 6220. Any chance you've got an update for us? Release date, spec sheet? I just ordered a 6520. Coming from a C640 I hope I will be pleased. I use it for some word documents,web work and light stuff like picture viewing,programs for mapping gps waypoints for business locations. This talk on the screen ratio has me worried I could have made the wrong choice. I've used latitudes since 1999. First they were the companies', now I purchase my own so I can use exactly what I want/need. I need to upgrade my current system — I'm being driven to do so due to needing more memory primarily. If I could put 8gb in this thing, I'd be largely fine for the foreseeable future. Present system: Latitude D820, 4GB, 500GB 7200 disk, 1920×1200 15.x" display. What I want is essentially this same machine in terms of overall physical dimensions (tho slimmer & lighter would be nice), but at least with more memory capacity, i.e. at least 8GB. 12GB would be nice. Faster front-side-bus than the D820 would be nice (most all systems are so now these days so that is a given, tho getting 1333mhz isn't a given it seems). Of course since there's newer processors and all, a new system that is faster overall, and with better battery life, would be nice, but its icing on the cake. I *need* the above without losing my 1920×1200 15" WUXGA laptop display. I want to second all the other posters here and elsewhere who are puzzled and annoyed at the overall industry's seemingly abandoning 16:10 ratio display options on anything smaller than a 17". I can't believe it. More and more people, including developers, are using just a laptop. I have 24" 1920×1200 external monitors on my desks at work and home. I *really need* the vertical resolution for my work, and I need the same resolution on my laptop screen when I travel, and a 17" is just too big for getting anything done on planes (and a 15" is barely livable). So, for my next system, I'm considering other options than Dell. I'd rather not — your systems have worked well for me, I've used the on-site service, and I have accessories and such, blah, blah, blah. But, the above requirements are firm, so I'm a'lookin' elsewhere. Oh, and another thing I want to second — I *won't* get a new system that has a numeric keypad built into the keyboard. I'm not an accountant, I'm a geek, and I can touch type numbers on a "programmer's keyboard" just fine, thank you. better battery life with at least this same overall horsepower as my D820 would be nice. Even with the 2nd battery in the modular bay, trimming running processes, slowing processors, and dimming the display I can't last more than about 6 hrs, and that's kinda a bummer when going to europe or asia from US west coast. @captcaper great! keep us posted on how you like your new E6520. 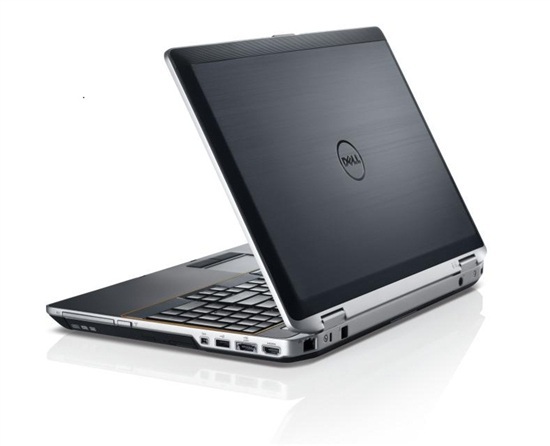 On availability of the E6220 – we'll provide details here on Direct2Dell on ordering in the next few weeks. On the industry move from 16:10 to 16:10 – it was dictated by the glass manufacturers. The panel makers order glass from glass makers in bulk and cut sheets out for individual displays. They can get more 16:9 panels out of a single sheet than they can 16:10 panels. 16:10 would require a special build at a very high added cost that would be translated to our customers. The TV industry (served by the same panel manufacturers) uses the 16:9 standard. Put those two facts together, and you can see why the factories are tooled to cut 16:9. As always, we appreciate the feedback and @DavidRuth and I we'll take your comments and suggestions back to our product teams. Well, it's not like 16:10 never's been made and shipped — I'm using one right now. Plus there's still parts available for various 16:10 laptop screens by various manufacturers (I've checked). If you look here in your forums and at other manufacturers forums, there's a fair number of folks agitating for a continuance of 16:10 availability. I think letting the TV/Film industry wag the tail of the computer hardware industry is pretty absurd. Maybe not for consumer systems, but certainly for professional computer/Internet/Software systems. To me 16:9 is a *big* step backwards, and I'm not going to spend $ on a new system without a 1920×1200 16:10 screen. Even if it means getting a 8mb-capable system used and refurbishing it (and stocking up on a couple of spare 1920×1200 panels). I earn my living on this system and use it >> 40 hours / week, and so I'm particular. If I have to pay extra for 16:10, then so be it (but I will shop around. Given the changes in new system models from Dell and all manufacturers, I can't just blindly get another Dell — I'll have to investigate the market. (that means y'all can keep me as a customer if you work at it 🙂 ).